Just outside of mountain home. take a right on hot creek. drive about 10 minutes and you will come some cattle fence on the right with a cattle crossing. drive another 5 to 10 minutes and on your left there will be a big hole. this is eureka cave. 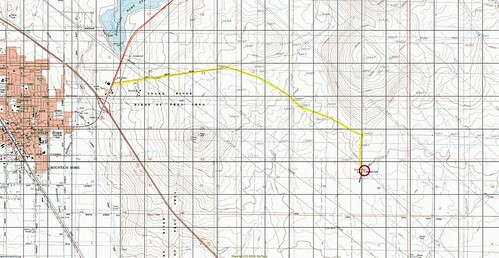 Added TOPO maps of the location. Took me a while to find it due to the bad coords above. Looked it up on my TOPO software and oila!